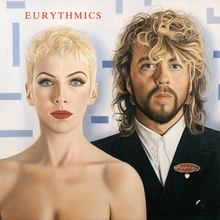 Revenge is the sixth studio album by British new wave duo Eurythmics. It was released on 30 June 1986 by RCA Records. Following on from their previous album, Be Yourself Tonight, Revenge continued further in this direction as the duo embraced a more "rock band" style. The album spawned four singles and was a commercial success. Its release was supported by an extensive world tour. A 1987 concert from the Australian leg of the tour was also released on home video as Eurythmics Live.